Our new ‘Essays’ page will showcase articles and discussions relating to the Seven Wonders collaborations. The current featured essay is ‘Graffiti’ by Angelina Ayers; click here to read her reflections on Paul Evans and Fay Musselwhite’s collaboration on ‘Kinder Downfall’ / ‘Phlegmatic’ and Sheffield’s Park Hill regeneration. We are delighted to announce that Angelina Ayers has joined the Seven Wonders project; the results of her collaboration with Paul Evans will appear here later in the year. Click here to listen to a recent conversation between Ayers and Evans; a wide-ranging discussion that takes in landscape, ekphrasis, Aristotelian poetics and praxis. 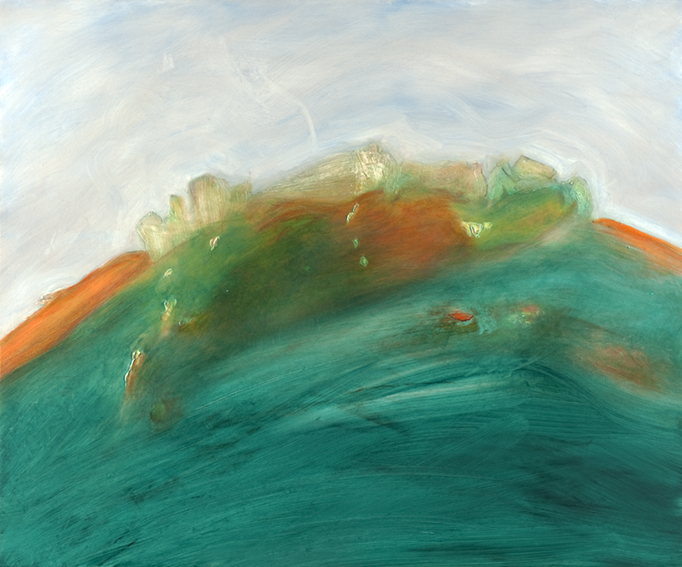 Phase 2 of The Seven Wonders continues with a double vision of Hen Cloud (part of a gritstone escarpment above the Leek and Tittesworth Reservoir): a new poem by Mark Goodwin (‘Hen Prayer’) is paired with a new painting by Paul Evans. You can view the painting and the poem here. Listen to Mark Goodwin reading ‘Hen Prayer’ (on location in Peak moorland) here. 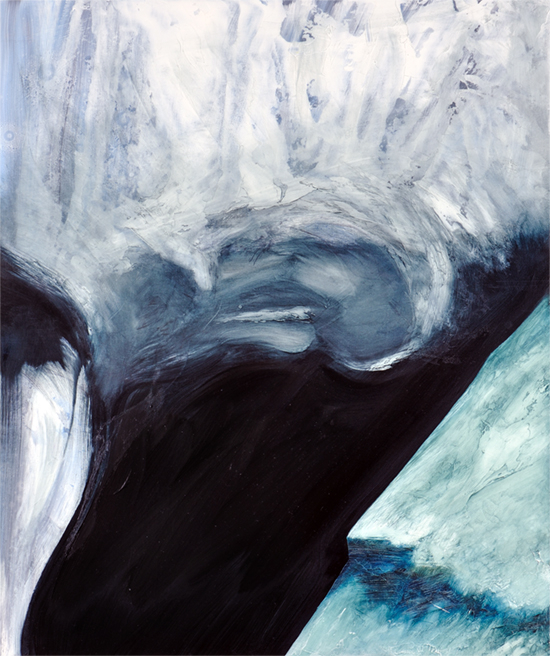 We’ve also uploaded an atmospheric recording of Fay Musselwhite reading her poem ‘Phlegmatic’ (which appears with Paul Evans’ new painting of Kinder Downfall). You can listen to the recording here. We are delighted to welcome Fay Musselwhite and Berlin-based poet Alistair Noon to the Seven Wonders project. Between June and October we will be publishing new collaborative works consisting of poems juxtaposed with paintings and drawings. These will be inspired by our original list of seven wonders, augmented by two new wonders that we have recently identified as essential to a robust, contemporary appreciation of this extraordinary landscape. 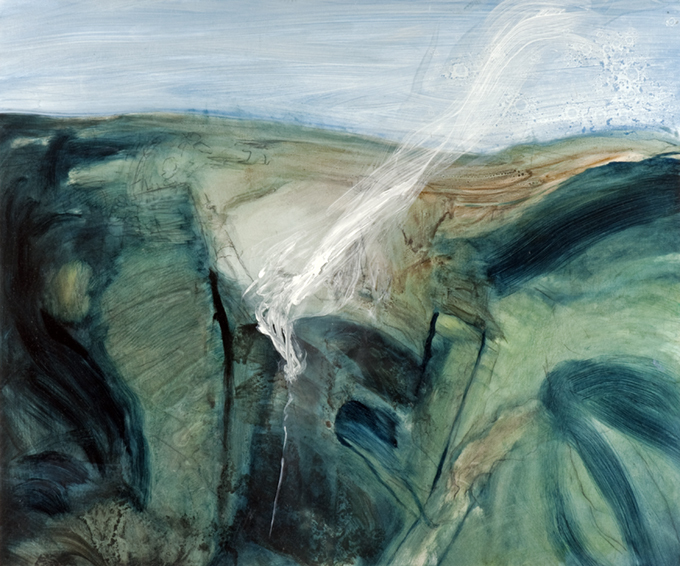 Phase 2 of The Seven Wonders begins with a reimagining of Kinder Downfall, in which Fay Musselwhite’s poem ‘Phlegmatic’ is paired with a new painting by Paul Evans. You can view the painting and the poem here. Alport Castles, The Burbage Valley, Chee Dale, Hen Cloud, Kinder Downfall, Mam Tor, Peak Cavern, Stanage and Thor’s Cave. The Seven Wonders is an ongoing series of collaborative works based on seven spectacular landmarks from the Derbyshire Peak District. Comprising a series of drawings and paintings created by the artist Paul Evans – accompanied by poems by James Caruth, Matthew Clegg, Mark Goodwin, Rob Hindle, Chris Jones, Fay Musselwhite and Alistair Noon – this series resurrects a poetic theme revisited a number of times throughout the 16th and 17th centuries, most famously by Thomas Hobbes in De Mirabilibus Pecci: Being the Wonders of the Peak in Darbyshire, published in 1636. The Seven Wonders paintings are now available to purchase in a series of signed, limited edition artist’s prints – please visit our online shop for details. The Great Humilities, a boxed edition comprising twelve prints from The Seven Wonders and Cells paintings (Evans’ 2007 collaboration with Chris Jones) and twelve poems by Caruth, Clegg, Goodwin, Hindle and Jones is also currently available to purchase from our online shop. The box has been produced in a strictly limited (signed and numbered) edition of 10 and is priced at £59 (plus P&P). Paul Evans is a contemporary artist whose practice encompasses a number of different styles of drawing and painting. His work appears on the following sites: Paul Evans, Origin09, Origin011 and Osteography. The Seven Wonders was first exhibited at Cupola Contemporary Art, Sheffield, in April 2010. All drawings and paintings on this website have been photographed by Ian Gracey.